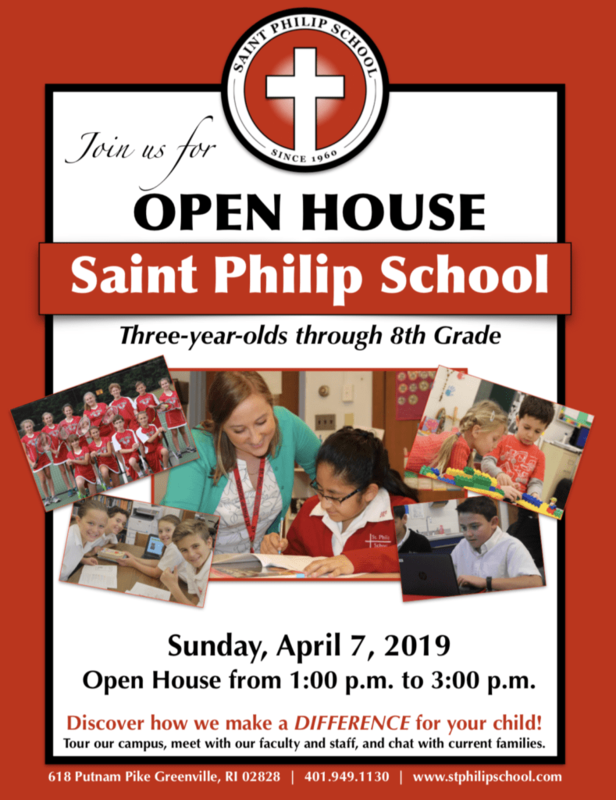 Join us at our Open House on Sunday, April 7, 2019 from 1:00 p.m. to 3:00 p.m. at Saint Philip School located in Greenville, Rhode Island. Tour our campus, meet with our faculty, and experience the difference in a private, Catholic education! Discover how we can made a DIFFERENCE for your child!